The admissions open every year in December/ January for the following academic session starting April next year The forms can also be downloaded from the website or www.disbhagalpur.com .Forms downloaded from the website can be duly filled in and sent to the school along with the cost of the prospectus and the registration fee, payable by demand draft in Bhagalpur favoring Diksha International School. The school prospectus can also be seen or downloaded from the school website. Parents seeking admission of their wards are required to fill up a prescribed registration form obtainable for a fee from the school office. 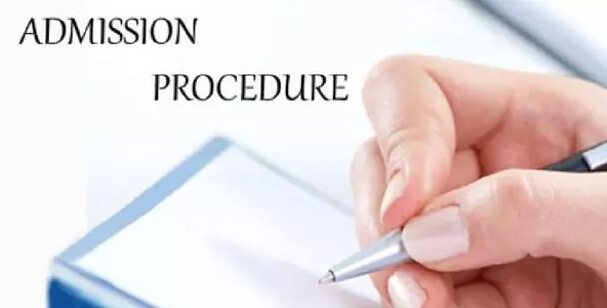 The filled in forms should be deposited in the school office before the prescribed timewith the other necessary documents along with payment of a Registration Fee which is non-refundable . Parents can also Register Online, However the filled in Registration Form along with the required necessary documents and above said fee must compulsorily be submitted in the office of the school before the scheduled date. However, the forms for E.W.S. category shall be available free of cost from the School counter. Medical certificate from a government registered doctor. Photocopy of INCOME Certificate (attested) FOR E.W.S. Category Only. Latest coloured 3 passport size& 2stamp size photographs of the child. 3 passport size Photographs of the parent with the child . Note. After confirmation of admission. Transfer certificate to be submitted. For the admission to Nursery class normally required age is three and half to four years and corresponding scale of ages for the subsequent classes as on 31st March of the following year. Under normal circumstances, students will not be admitted into a year group outside of their age group. For admission to the class NURSERY /LKG/UKG, No Admission test/interactive session is held. The forms are short-listed and the parents are called for verification. After the verification a list of selected candidates is displayed on the notice board and also posted on the school website. The first list is followed by a second and third list depending on the cut off. The final list and the master list with the scores of all the applicants are available on the notice board &websites for review . For admission to the classes from I to V, Interactive Session is held. After the registration, Presentation/Interaction date is given to the Parents/Guardians. A list of selected candidates is displayed on the notice board and also posted on the school website. For admission to the classes from VI to IX , Written test date is given & test is conducted . The candidate must pass the qualifying test which is only way to assess the capability of the child for admission to a particular class. Qualifying test is taken in English, Math, Science, S.ST .After declaration of result; short listed students are sent to the principal /admission-in charge for interaction. For admission to the class XI, the choice of stream science or commerce will depend on the class X marks specially C.G.P.A. Admission is strictly subject to fulfilling of all conditions and submission of requisite documents .The admission will be confirmed only on the basis of above mentioned Criteria and after the assessment of the vacancy position in the concerned class. After declaration of list, the date of admission and reporting is notified. Guardians are required to deposit the fee at fee counter as per allotted date and time given, in cash, failing which the seat of necessity will be offered to next eligible student. The school reserves the right to admit a student in the appropriate class after examining the student. Even after the admission is granted the student can either be adjusted in a lower or higher class, which ever the case may be, depending upon the student’s ability at the discretion of the authorities. Parents are required to ensure that their ward (s) will report to the school on the opening day / reopening day. Only meritorious students will be considered for mid term admission on grounds of transfer or change of school.